Grab your sled and run for the hills! 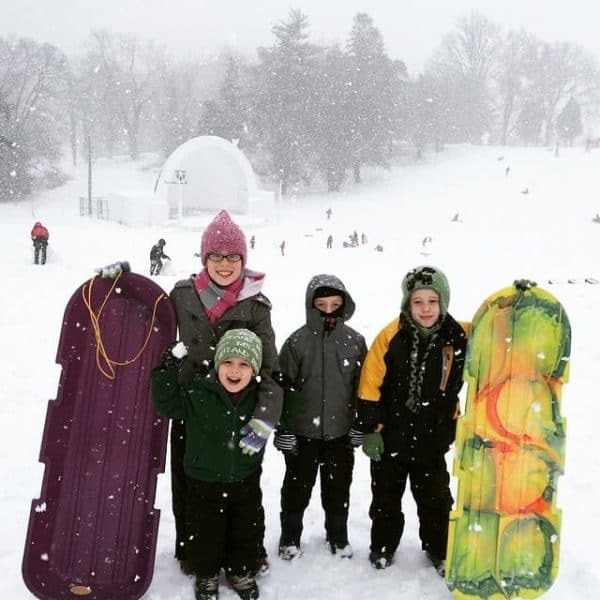 We’ve put together a list of the best sled riding hills in Cincinnati. And we should remind you that sledding can be dangerous and that you should “sled at your own risk”. Miami Whitewater Forest* (near the harbor overlook); 9001 Mt. Hope Road in Crosby Twp. Devou Park is located in Covington, Ky.
Rossford Park is located at 219 Rossford Ave. in Ft. Thomas, Ky.
*Great Parks of Hamilton County do require a car permit to enter the park. Passes are sold at a booth as you enter the park. Price information can be found here.